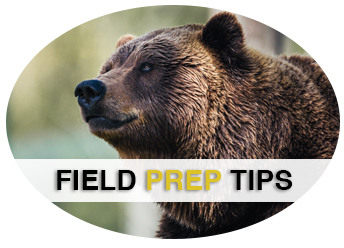 Cutting up a big animal after the hunt can be tiresome, but the proper equipment can certainly help. This slicer delivers that convenience in a smaller foot print. Chicago Food Machinery’s factory has been making OEM slicers for over 20 years, and that kind of experience and longevity is a testament to the quality of our products. Our reputation for quality and service is what sets us apart. Our commitment to continuing attentive customer service after the sale and making sure that this slicer offers decades of life equipment is our pride and our promise. This quality heavy duty slicer sells for less (compared to other brands coming off the same assembly line that sell for twice as much) without the fancy brand names and expensive distribution models. Chicago Food Machinery’s reputation for quality and service is what sets us apart. Our commitment to continuing attentive customer service after the sale and making sure that this slicer offers decades of life equipment is our pride and our promise. This slicer is designed to accommodate those businesses with restricted space, while still providing enough blade surface to cut large selections of meat. Our slicer frames are constructed of high quality aluminum magnesium alloy machined and finished to professional standards for lasting beauty. 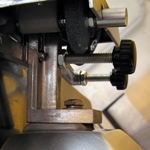 The carriage is also designed with a steep angle to provide an easy, snag free feed for meat into the blade. Even with a smaller frame, this slicer has plenty of performance power for total ownership satisfaction. Featuring a Chicago Food Machinery’s all stainless steel blade (with adjustable precision cutting design) and a waterproof emergency shut off switch, this meat slicer can handle just about any slicing project. 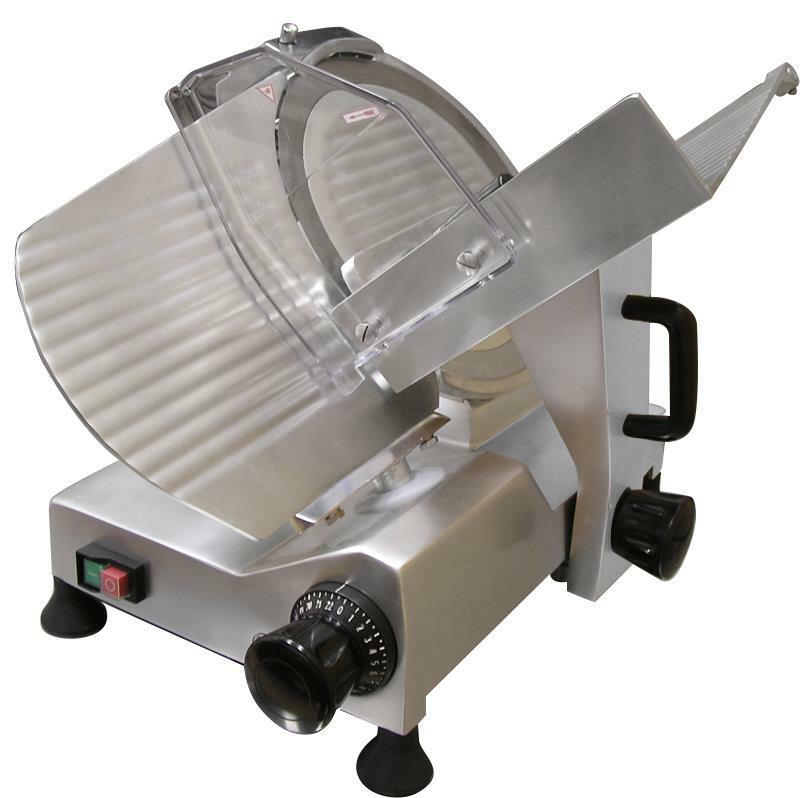 Chicago Food Machinery’s slicers are everything that anyone would expect from a top quality heavy duty slicer, but with a direct from factory distribution path for higher value.